Children attend worship with their parents until they are dismissed to go downstairs to explore the “Worship Centre”. There, children are met with a friendly greeter and asked to quiet their bodies and remove their shoes to enter this special place. Inside the classroom, their teacher is waiting for them. There are two adults in the worship centre at all times. The teacher then tells many wonderful Bible Stories using wooden figures and hands-on props. The children then get to explore the Worship Centre through play. They are allowed to “work” with any of the Bible Stories or to choose colouring, puzzles, books or the much-loved desert box (a sand box for all of our desert Bible Stories). This play based approach to hearing God’s stories allows kids to really explore and interact with each Bible story to help learn and love the stories of God. Children attend worship with their parents until they are dismissed to go downstairs to their Sunday School Classroom, where their teacher is waiting for them. These children explore Bible Stories through reading, memorizing, games and activities. 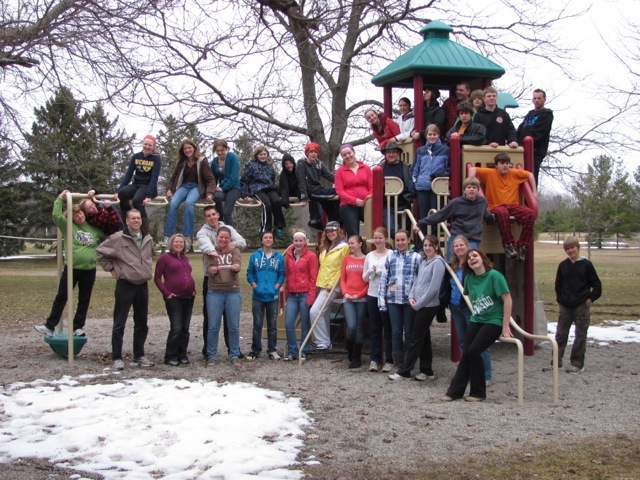 We are the youth group from First Reformed Church in St. Catharines, Ontario. Our group is made up of teenagers who are in Grade 7 – Grade 12. FUN – Determined to enjoy our time together! Monthly Get-Togethers on Saturday Evenings. Please like the FRC YOUNG ADULTS Facebook page (link below) for more information. 3rd Sunday of the month – First Reformed Church at 3:30 p.m.
Every Wednesday evening (Sept. – April) we get together to have a meal at 6pm. Cost is $4/person. At 6:30-7:45pm we move to Bible studies groups. Catechism for grade 7-8 students, Student Bible study for high school and college students, women’s Bible study and men’s Bible study. Following dinner the kids grade 1-6 go to Jubilee CRC for GEMS & Cadets from 6:30pm – 8pm, child care is provided for younger children. Every Tuesday morning at 9:30 am, Pastor Art leads a Bible Study at Martindale Place.